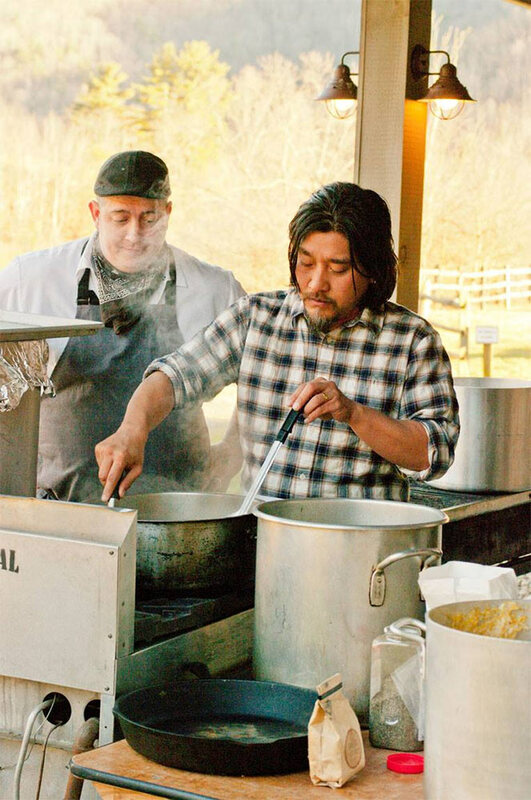 Could an Appalachian food revival help revitalize a region’s economy? “Last fall, scholars, chefs and activists hosted an Appalachian food summit in Abingdon, Va., to examine how the region’s food heritage can boost local economies,” Black writes. “In February, the James Beard Foundation hosted its first-ever salon for Appalachian chefs.” The Blind Pig, an Asheville, N.C. supper club, hosted six chefs for a dinner called Appalachian Storytellers, in which Tennessee chef Travis Milton served smoked venison, drizzled with a sauce made of malted sassafras and black birch syrup, and smoked collard greens (see photo above). The event, which hosted 140 people, sold out in a day.